The spokesman of the Iranian government says the US return to coercive diplomacy towards Iran will bring it nothing but more failures. Mohammad Baqer Nobakht says the US coercive strategy towards Iran since the Islamic Revolution of 1979 that brought down the US-backed regime of Mohammad Reza Pahlavi has produced no results. Likewise, the strategy recently announced by US Secretary of State Mike Pompeo is also doomed to failure, he said, speaking in his weekly press conference on Tuesday. Pointing to a 1980 attack by the US to rescue the US embassy staff taken hostage in Tehran that failed in Tabas Desert in central Iran, and the US’ veiled support for the Iraqi invasion of Iran in 1980s, Nobakht said the US has failed to force a change in Iran’s behaviour. “Could the US [economic sanctions] weaken the Islamic Republic? Could they weaken our economy? 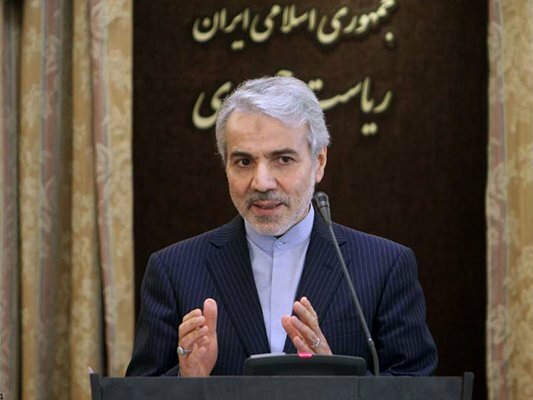 I recommend reading the reports by the International Monetary Fund describing Iran as the eighteenth economy across the globe,” he said, according to a report by Entekhab news website. The spokesman was responding to earlier remarks by Pompeo, in which he threatened to impose the “strongest sanctions in history” against Iran that would ultimately destroy Iran’s economy, unless it capitulated to a series of 12 “basic requirements”. Pompeo said the US government was ready for talks with Iran based on the 12 requirements, aimed at reaching a new accord that would replace the 2015 nuclear deal. US President Donald Trump on March 8 pulled the country out of the 2015 nuclear deal, which placed confidence-building curbs on Iran’s nuclear program in return for the removal of anti-Iran international sanctions. Nobakht said the Iranian government will by no means enter into talks with the US again, as the US pullout of the nuclear deal proved Washington cannot be trusted with keeping its words. “We won’t talk with those who do not deserve to negotiate with a country that has been faithful to its commitments,” he said.